CAMRADATA, a leading provider of data and analysis for institutional investors, has published a new white paper, ‘Responsible Investing Roundtable – The metric for success?’ based on discussions amongst leading investors and asset managers. The roundtable panellists discussed the impact of company culture on responsible investing, whether Environmental, Social and Governance (ESG) factors should be incorporated into funding models and the effect of corporate short-termism when it comes to making investment decisions. Sean Thompson, Managing Director, CAMRADATA said, “There are many different flavours of responsible investing – from firms integrating ESG factors as part of their overall process, to firms producing SRI-specific funds which could exclude certain types of stocks and/or strategies that track how they make a tangible impact in the world. “With responsible investing gaining momentum, we expect to see increased transparency and data measuring how investments are making an impact. There is also room for more tangible analysis to determine whether this type of investing is truly a ‘metric for success’,” adds Mr Thompson. The panel at the roundtable discussed the efficacy of Low Carbon indices and the pressures on the directors of quoted companies to make investments for short-term profit rather than long-term sustainability. 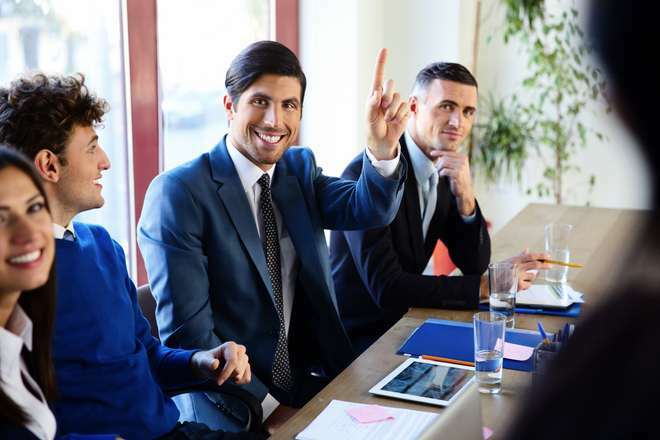 They agreed that the relationship between shareholders and directors could be improved from both sides and that shareholders collectively have not pressed hard enough for long-term thinking. There was also consensus that ESG analysis should be integrated within the portfolios managed by commercial asset managers. They highlighted that unless this happens, ESG analysis is at risk of being an option that can be ignored by those in charge of portfolios without any consideration of the risks. They pointed out, however, that this ignorance is less prevalent among younger managers. The discussion’s overarching theme was the need for asset owners and asset managers to understand corporate culture and ally with organisations that demonstrate the best, most robust culture. An overheating world is regarded by many as the greatest threat mankind faces this century and governments around the world are endorsing carbon emission programmes. The panel were asked how they respond as financiers to this changing environment. They noted that the popular response is to track a Low Carbon index. Tracking Low Carbon indices can cut portfolio exposure to carbon emissions by more than 75%, with annualised tracking error of 0.3%. They discussed the risks and opportunities of investing within the constraints of such benchmarks. Another theme was the issue of engagement and the difficult conversations with companies about why investors won’t invest with them following corruption or natural disaster scandals. Philip Ripman, Senior Analyst and Portfolio Manager at Storebrand Asset Management, claimed that engagement can only really be effective if there is the threat of divestment, probably accompanied by publicity around the event by the divestor. He told the panel how Storebrand had publicly called on Statoil to divest from tar sands in Canada and was visited by the representatives from Alberta following its campaign. Sean Thompson, Managing Director, CAMRADATA concluded, “Through our investment research, roundtable events and publications such as our white papers and quarterly reports we offer clear and independent institutional investment analysis, as well as valuable insight.